So I have been in Minnesota for the past few days and now heading back to the land of high heat. Going back to mid to high 90s from today where it's a lovely low 70s. Sigh. I don't care for Minnesota winters but the summers are nice. Except for the mosquitoes, their state bird. 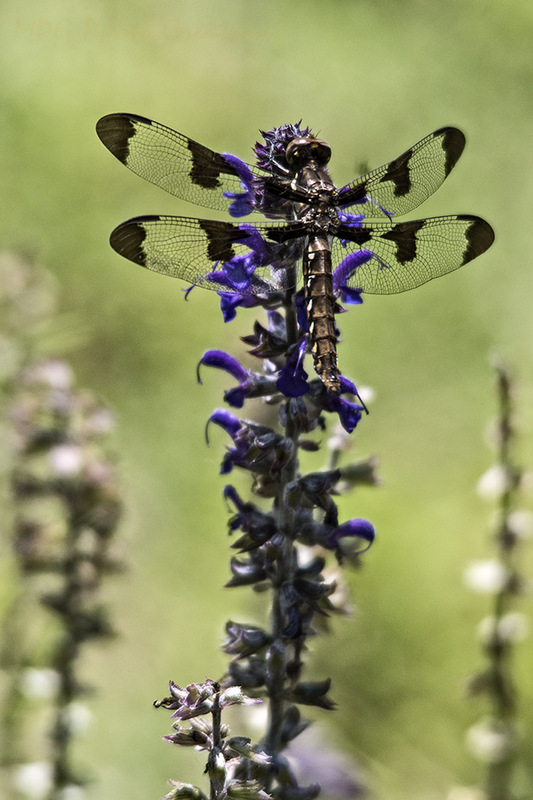 :-) My image for today is of the first Dragonfly I captured this year. It was enjoying my Salvia plant like many other things have. I don't know the type at the moment but must be a variety of Clearwing.